Conveniently situated only 150 metres from Kissamos centre, 25 minutes from the spell bounding town of Chania and 20 meters from the cosmopolitan Telonio beach the charming Revekka B & B accommodation ensures a tranquil escape in its 4 fully equipped twin rooms, 4 double rooms, 2 triple rooms and 2 beautifully appointed studios. 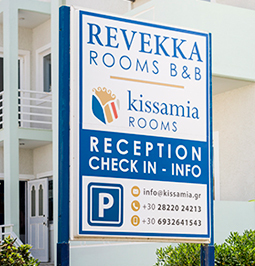 Revekka can accommodate 25-30 people in its 12 rooms that are equipped with modern conveniences and amenities ensuring a relaxing stay beyond expectations. Guests are welcome to unwind indoors while watching TV or bask in the sun in the privacy of their balcony. Wi-Fi internet connection is available in all rooms for travellers who wish to browse the web or connect with their peers while on holiday. The Cellar Tavern is a beachfront restaurant on the seafront promenade, at Telonio beach of Kissamos that has been established in 1992 alluring diners with its prominent location and mouth-watering specialties of Cretan cuisine. 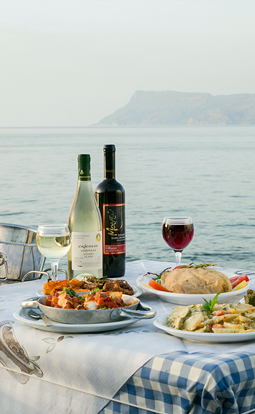 Specialties include stuffed vegetables, roasted meat in wine sauce, a scrumptious assortment of titbits as well as a great selection of fresh fish and seafood including the special Cretan fish soup Kakavia, all accompanied with local wine or raki. The Cellar Tavern is rightfully considered one of the best restaurants in Kissamos blending the authenticity of Cretan cuisine with tradition and good quality service. Every day begins fresh with the deliciously prepared buffet breakfast made by the restaurants professional chefs. For early starters there is an early bird breakfast option allowing them to relish homemade breakfast in the privacy of their room before 08.00. 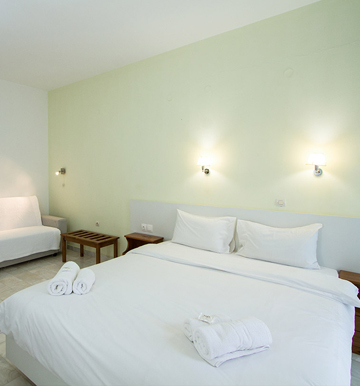 The Revekka B&B accommodation offers the perfect starting point for island excursions. The 24hour onsite service, the parking next to the rooms and studios as well as the travel and transportation arrangements that can be made by the stuff allow guests to plan their island excursions to the nearby beaches and attractions with absolutely no hassle.